A fantastic promotional product for any summer-related promotions. The Fold-Up Frisbee folds away in a matching pouch, so it can be stored away in a bag or pocket. 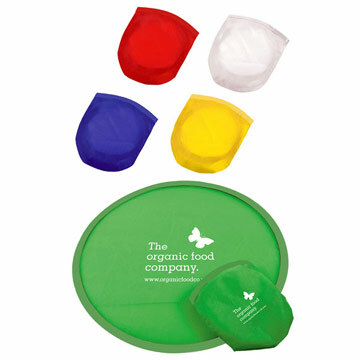 The frisbee and pouch are both printed with your company logo.